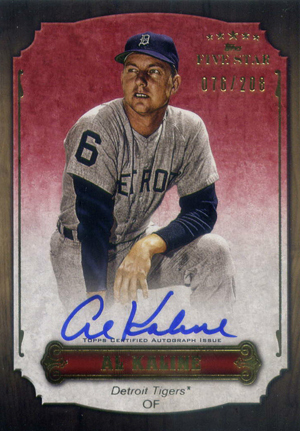 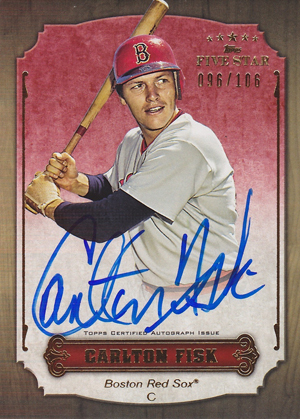 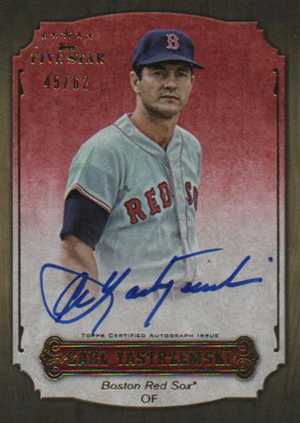 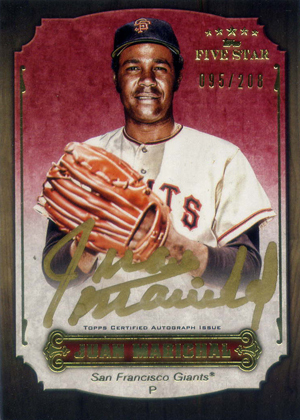 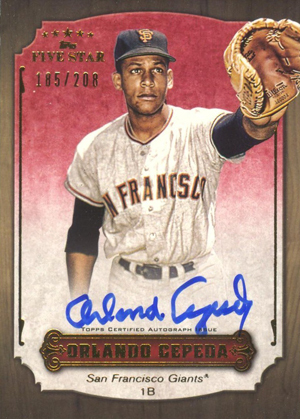 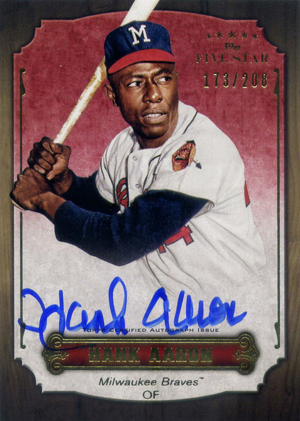 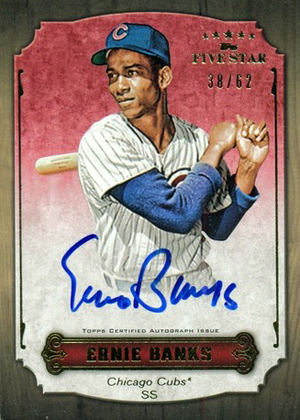 Sandy Koufax, Hank Aaron, Willie Mays, Mike Schmidt, Ken Griffey Jr, Cal Ripken, Carl Yastrzemski -- these are just a handful of the names on the 2012 Topps Five Star Baseball Retired Player Autographs checklist. 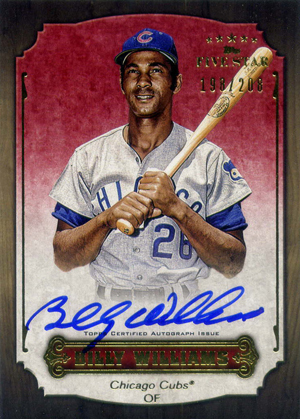 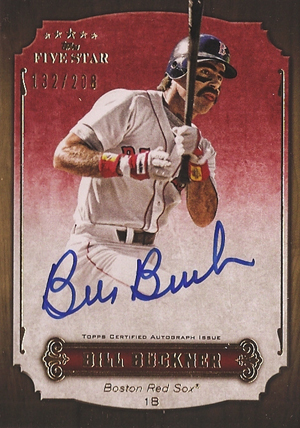 And while there are also some less desirable names (I'm looking at you, Bill Buckner), few recent sets offer as many high-quality signatures as this lineup. 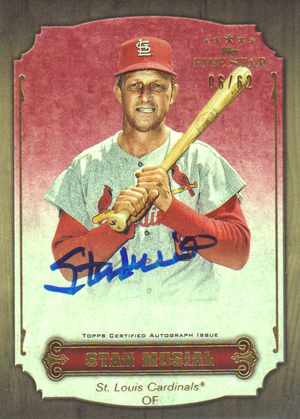 Not only that, every card has an on-card autograph. 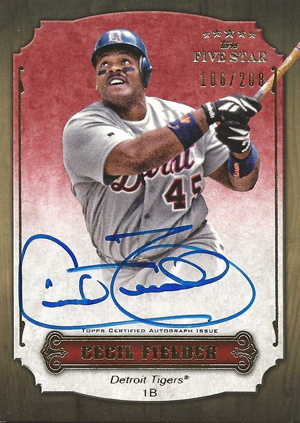 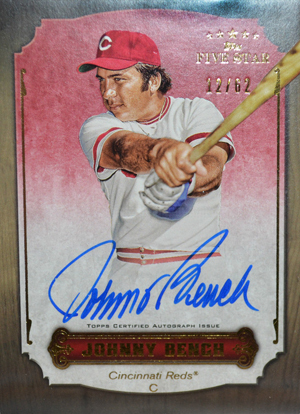 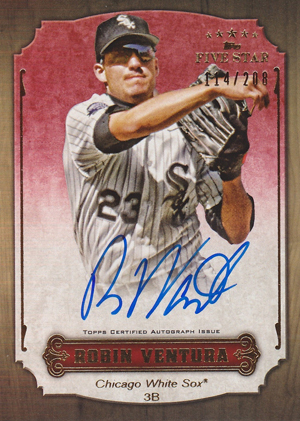 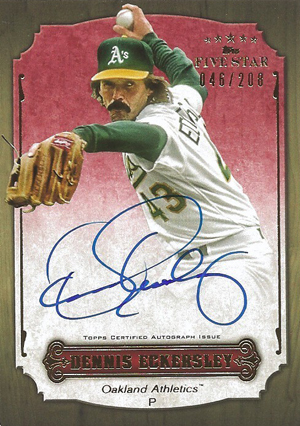 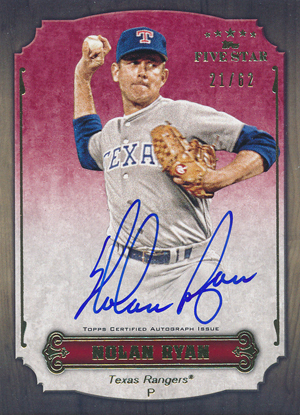 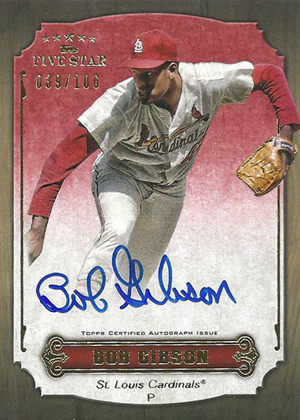 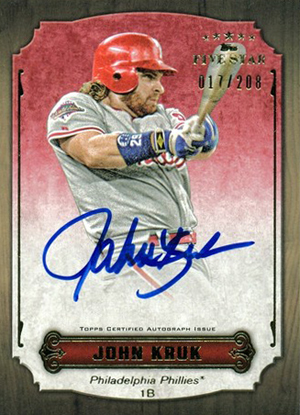 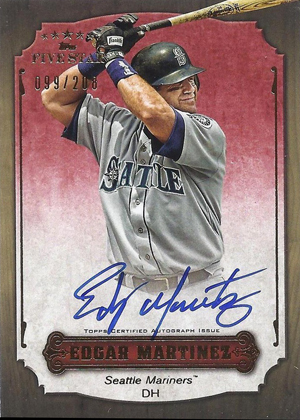 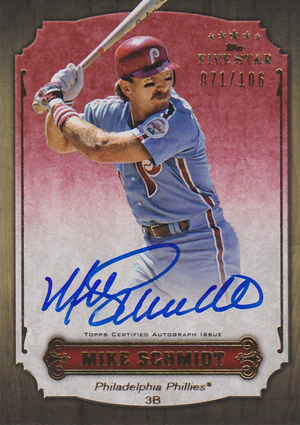 Shop for 2012 Topps Five Star Baseball Retired Player Autographs on eBay. 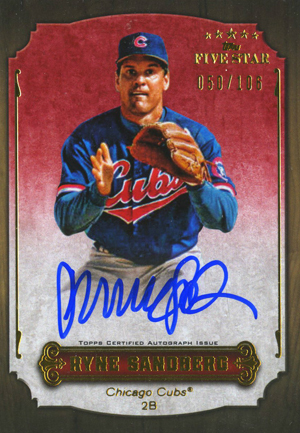 The Retired Player Autographs checklist has a total of 42 players. 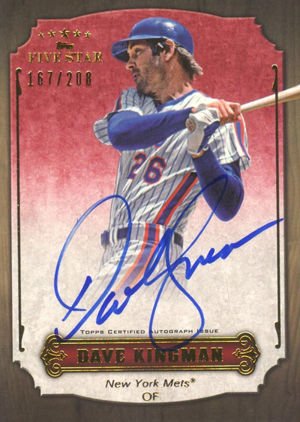 All are numbered to 208 or less and all have Rainbow parallels that are numbered to 25 or less. 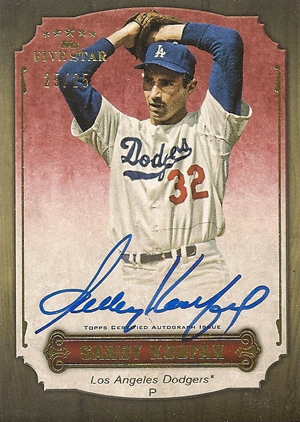 Except for Sandy Koufax, all of the regular versions are numbered to 208, 106 or 62. 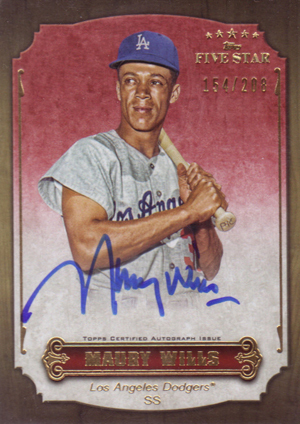 The Dodgers great has just 25 to go alongside 15 Rainbow parallels. 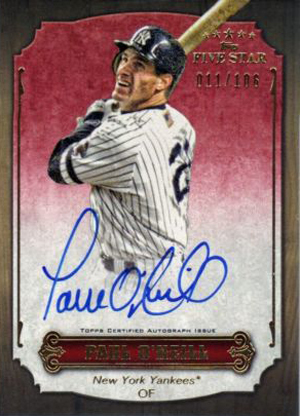 One thing to watch for is chipping and corner wear. 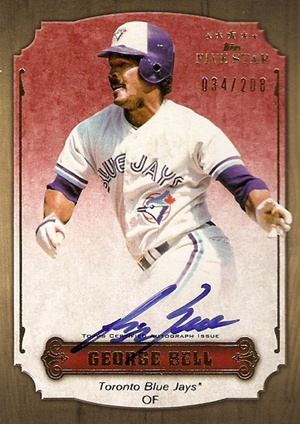 This is an issue across much of the set. 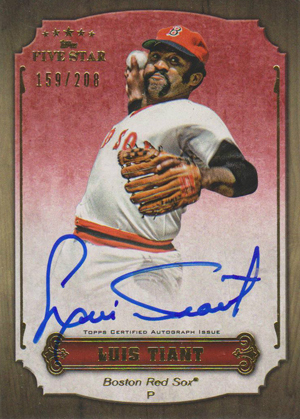 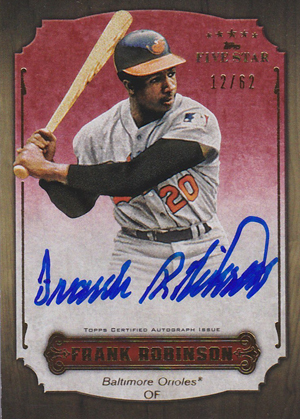 And while it may deter from some of the overall appeal, there's no denying the power of a nice autograph that doesn't use a sticker. 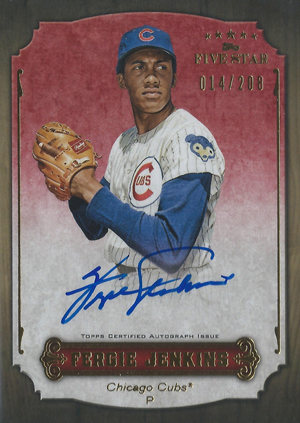 2012 Topps Five Star does have its share of redemption cards, but this particular part of the set fares pretty well in that department. 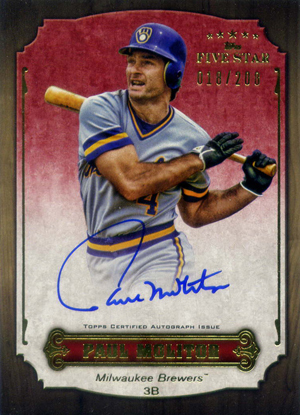 Of the 42 cards, six are redemptions: Cal Ripken Jr, Ken Griffey Jr, Ken Griffey Sr, Rickey Henderson, Tom Seaver and Willie Mays. 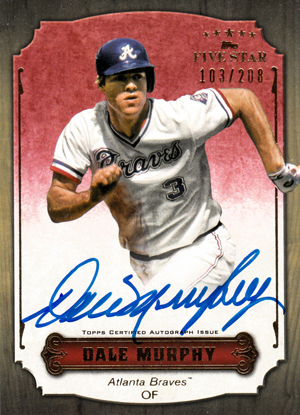 The redemption cards state that they expire October 31, 2015, giving collectors nearly three years to find them and enter the codes online. 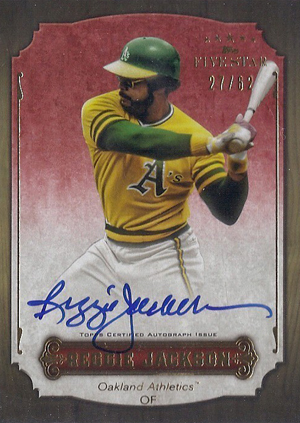 Below you will find a complete gallery of all the cards in the set except for the redemptions (we left the redemption cards out too because they're not very attractive). 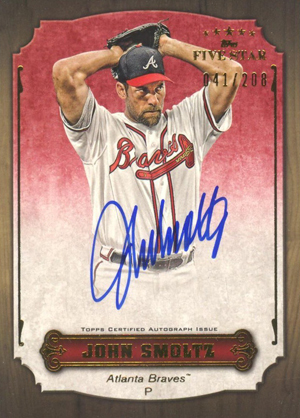 We've also got a detailed checklist including both team info and print runs. 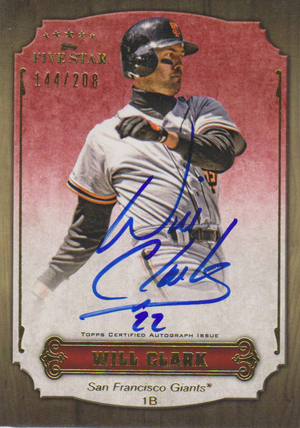 I PULLED A WILLIE REDEMPTION AND IT TOOK ABOUT SIX MONTHS BUT IT WAS WORTH IT. 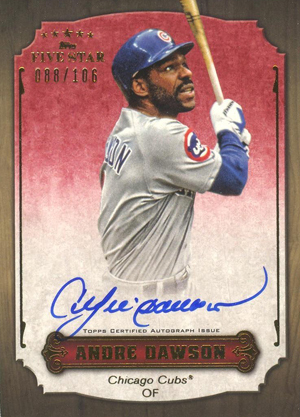 2012 Topps FIVE STAR 5 Factory Football Box SEALED Wilson Andrew Luck AUTO RC ?